This technique utilizes specialty hand-held instruments to perform soft tissue procedures to increase circulation, relax tissue, and break up scar and adhesion in muscles and around joints. This in turn allows the injured or chronically damaged tissue the best chance to function better and heal. The most well-known instrument assisted soft tissue mobilization technique (IASTM) is Graston Technique, however the popularity and efficacy of this form of therapy has led to the creation of many others. Similar techniques were employed for centuries in the Asian culture and went by the name, Gua Sha (Guasha). IASTM is employed by many special trained practitioners on elite and amateur athletes, and by professional teams in providing accelerated rehab and support to their players. 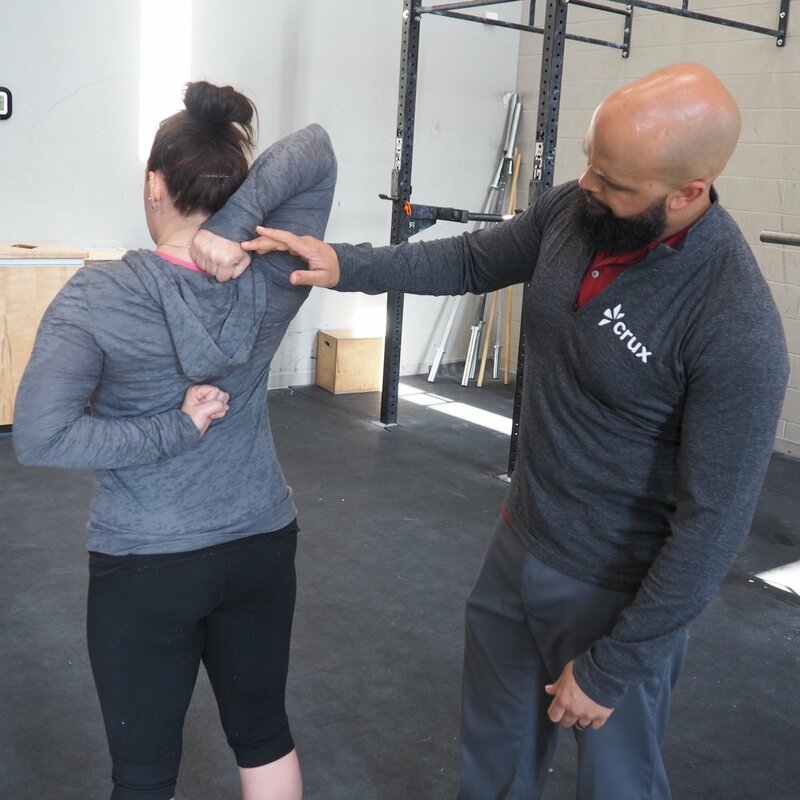 At Crux, IASTM is used to restore normal and unrestricted range of motion and then active Functional Rehabilitation is used to correct muscle imbalances and secure lasting changes. I need this! Sign me up!